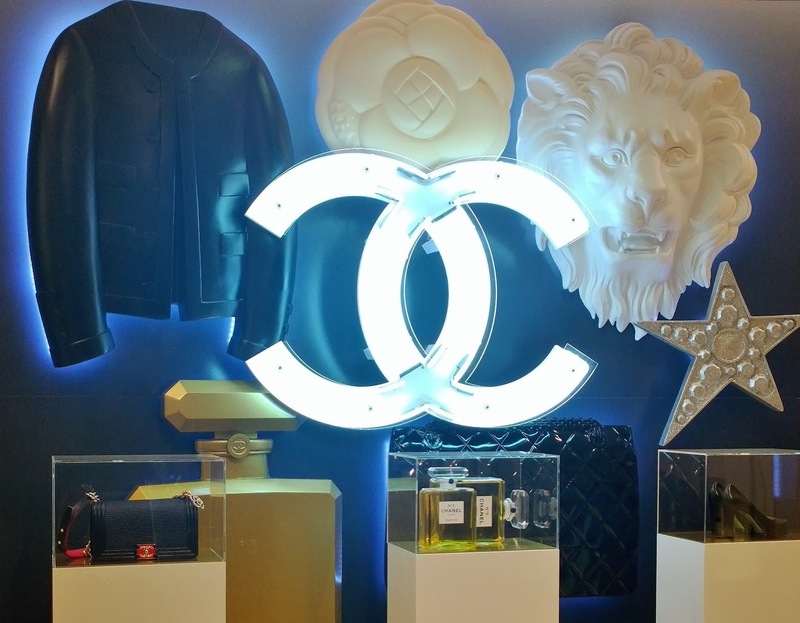 Chanel’s Christmas makeup collection for 2013, Nuit Infinie de Chanel is a beautifully simple and understated Chanel-glamorous collection, and features, unusually enough, entirely LE products. 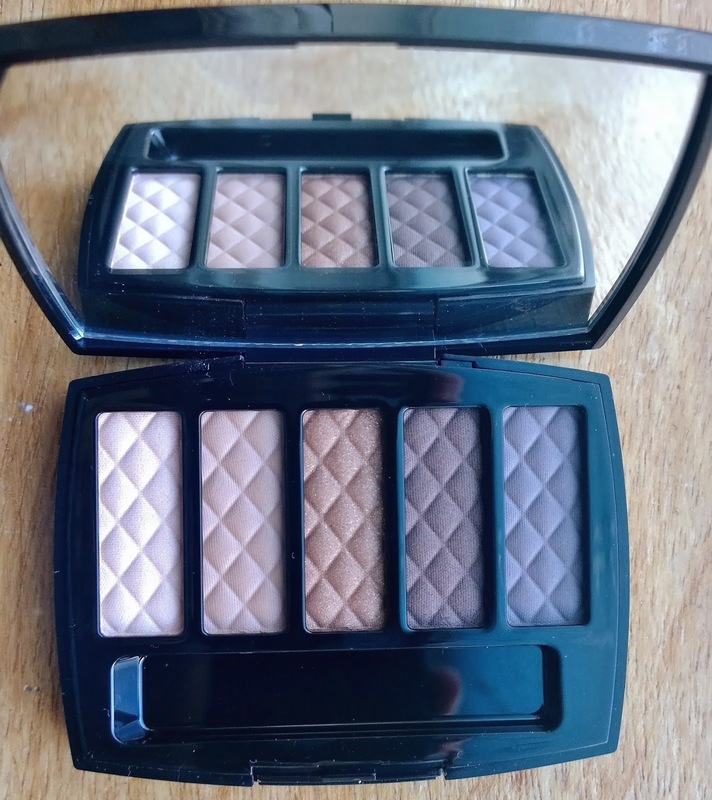 I’ve already posted about the two LE Illusion d’Ombre shades (look here) - this post is about the mascara and the eye palette. This is gorgeous. At €55 it’s actually not bad for five full-sized eyeshadows. It has two double-ended applicators, but I personally am not a fan of sponge applicators for eyeshadows. One of the ends of one of the applicators is a very usable slightly fluffy small-sized lay-down brush which might be usable. 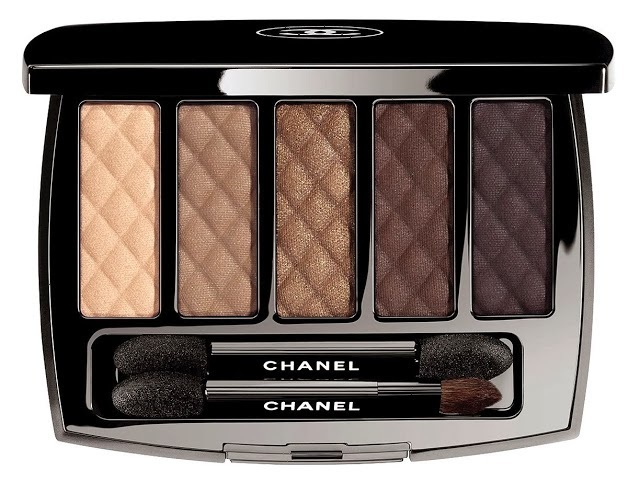 At first glance it’s a not terribly interesting eyeshadow palette of neutrals. 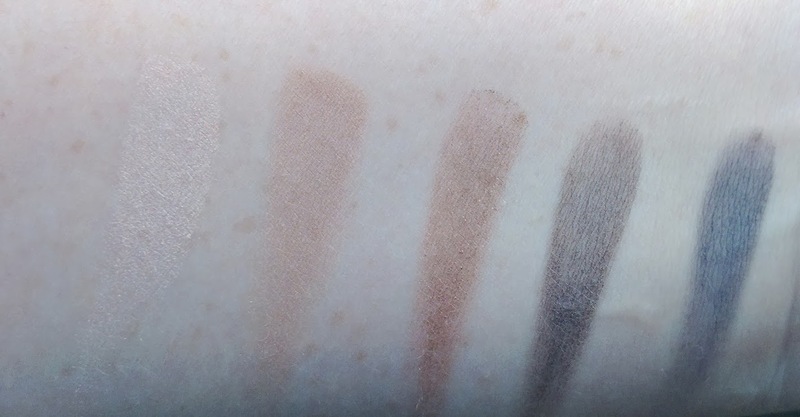 Looking closer reveals an exceptionally well considered and well edited shade range. I am not a fan of palettes in general - I have a lot of eyeshadows and I generally am inclined to make up my own custom palettes from my existing stash. But this was too good to pass up. The base shadow has a hint of a sheen - just enough to stop it being a chalky matte, not enough to make it shimmer. It has a bit of warmth to it which will make it a pretty perfect base shade for most pale-medium skin tones. The next shade up is a fantastic slightly warmer than neutral mid-tone shade, great for a subtle socket contour shade; this one has a satin finish (just-off matte, which you’d expect for a mid-tone shade). These kinds of shades really help to give your eyeshadow something to blend into. Moving along to the middle shade you’ll find a gorgeously warm mid-brown with subtle gold shimmer. This is a lovely one although the only shade of the five that didn’t really translate to the skin. 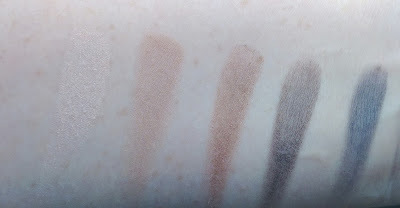 The second last shade is a lovely cooler-toned slightly dirtied darker brown shade - great to give definition at the lashes if used wet or dry, or to darken the outer v.
And the final shade is just gorgeous - it’s got that kind of minky-hot-drinking-chocolate-shade of brown which has a slightly lilac base, it’s cool toned, but it gives the most beautifully subtle finish when used to blend out the darker shade, especially under the lower lash line. I love this palette. 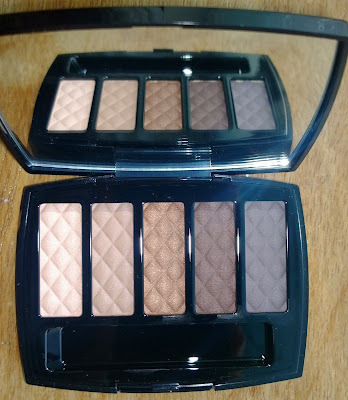 It’s not going to be one you’ll use for dramatic looks, but if you ever wanted a palette for really beautiful, grown up, effortless eye makeup, you could do far worse. Also LE, I have mentioned that before, but no harm mentioning again, this is a lovely mascara which gives a slightly shimmery, slightly metallic finish to the lashes. Worn on its own, it’s a bit of a nothing, but that’s not the point. Borrowing (in my opinion only! ), from Chanel’s summer collection which saw mad colour mascaras being used to accent the very tips of the lashes (look here and here), the idea behind this is to just apply it to the tips of the lashes, over your black (or “normal”) mascara, for a subtle and grown-up take on shimmering eye makeup, if you love shimmer and don’t want to look glittery. Gorgeous? Yes. Necessary? Nope - you can always use a lash fan brush and a metallic shadow applied to the tips of still-wet mascara’d lashes, but unless you have all of this stuff, this is a good alternative. A definite fun one for the Christmas period. 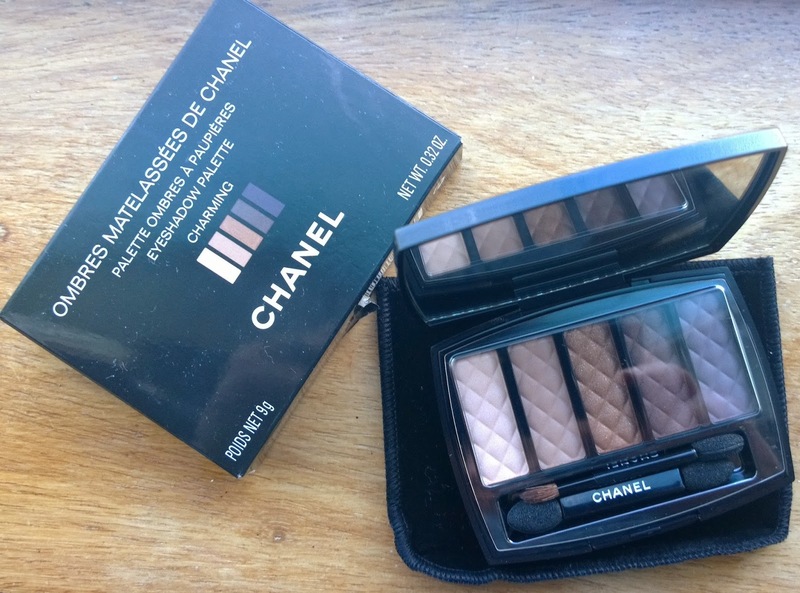 I’d thought that it might be a little like Chanel's Khaki Bronze mascara from the Collection Superstition de Chanel but it’s nothing like it - that was a matte finish, this is a metallic, shimmer finish. And really really annoyingly, I can't get it to photograph properly :-( But it's gorgeous, the stock image avoe doesn't do it justice - lashed on to the tips of lashes, over black mascara, it makes your lashes look twinkly. It's just gorgeous. I love love love this. I had expected to like it. But I want to wear it every single day... it's fabulous! Look here for more information on this collection.